It’s almost here, and if you follow Jim Lilley’s Peterson Pipes Pinterest or the IPPC blog, you’ve already seen it—the Limited Edition / Pipe of the Year for 2015. This year’s pipe is arguably the most important release in the series nineteen-year history, surpassing the Y2000 double-release. * I don’t have one in hand, so I can’t give you the measurements, but Tom Palmer tells me “it’s definitely larger than the Sherlock Holmes series.” The extra-large bowls, or possibly XXL bowls, may mean a bit slower roll-out than usual, Tom says, as this size bowl is more difficult to source. This year’s LE will have a higher count of numbered pipes than the usual 1,000—1,865, in fact, to celebrate the 150th Anniversary. The POY of course will be issued unnumbered in rustic and sandblast finishes. Both pipes will be available in P-Lip and fishtail, so System users, demand that P-Lip! A “Sub-System” is better than no System at all, and it sends the message to retailers that Charles Peterson’s patents still allow for the coolest, dryest smoking experience possible. For myself, I’d do handsprings if Peterson ever released a Limited Edition as a full System, but that will take some insistence on the part of Pete users. Plans are also in place to produce a Founders Deluxe Series, although I haven’t heard whether it will happen. Conor Palmer was hoping for a two-pipe set, “of the highest-quality briar available that will come in a leather-bound case.” It would be issued in an edition of 150 sets worldwide, no two sets identical. The shape, which Peterson calls an “Oom Pol” but which most of us think of as the “Oom Paul,”** is significant for Peterson history, and wasn’t chosen without a great deal of thought. I just received some scrapbook pages from the Peterson Museum in Sallynoggin that made a significant side-bar to one of our historical chapters in the Peterson book, but more than that. . . I won’t say. But if part of your love for Peterson pipes is their history, don’t miss this one. You should expect to see it on the European market in mid-May, and here in the U.S. by June and July. *See “A Visual History of Peterson’s Limited Edition / Pipe of the Year: 1997-2014” elsewhere on this blog for more information. **Pete Nuts from the southern hemisphere: is “Pol” Afrikaans or Danish for “Paul”? Please keep us posted on any further developments with the FE deluxe sets, I’d love to get one myself. Thanks for the info, it’s much appreciated. The Founder’s edition shape has the classic Peterson look… hmm should I order one? No, you should order two, these are sure to be special. While I’m not a Peterson collector, this shape really caught my eye. 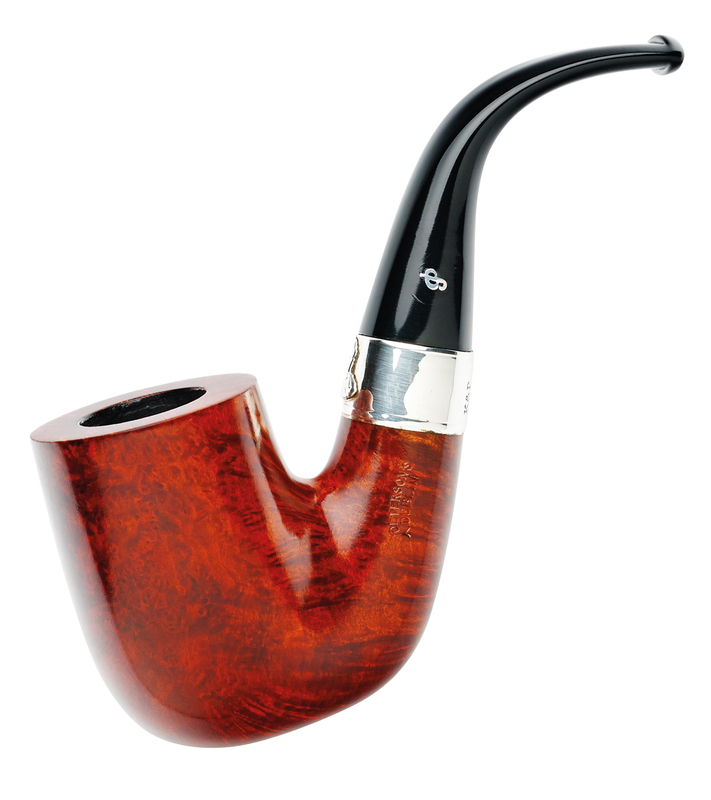 The original remastered, No two pipes identical, Handcrafted in Ireland.